Here’s what’s happening in the world of television for Friday, May 11, and Saturday, May 12. All times are Eastern. 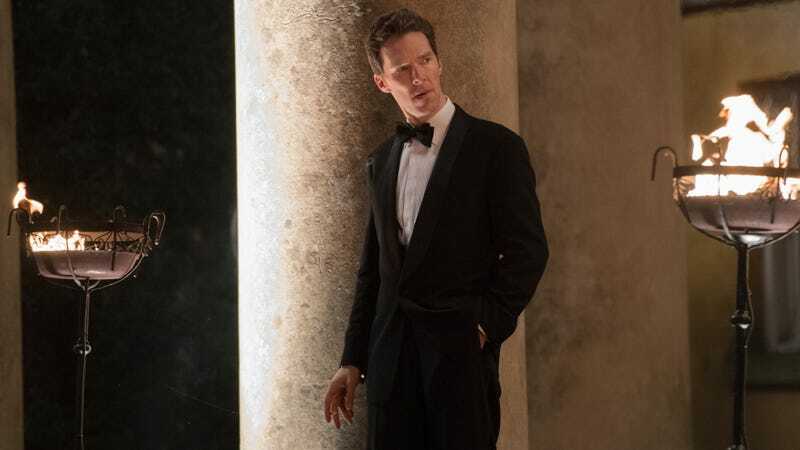 Patrick Melrose (Showtime, Saturday, 9 p.m.): “I’ve only ever had two roles on my acting bucket list: Patrick Melrose and Hamlet.” So says Benedict Cumberbatch about his turn as the self-destructive title character of this new series. The show explores Patrick’s traumatic childhood and how it affects his exceedingly painful present, now that he’s addicted to drinking and drugs. Kyle Fowle raves in his review, up later today, that Cumberbatch “behaves badly and acts terrifically” in Patrick Melrose. The five-episode limited series “isn’t shy about driving home the ghastliness of its characters and the world they inhabit,” Kyle writes. Sounds like it’ll be required viewing for fans ready to see Cumberbatch out of detective and mystic mode and into something more manic. The Kissing Booth (Friday, Netflix): This new Netflix movie looks like such a John Hughes throwback, it even has Molly Ringwald in it. The cute girl-in-the- mansion-next-door has a best guy friend, but she has a crush on his older brother that develops into something more, thanks to the kissing booth at a school event. He’s a hot bad boy with a motorcycle, but she’s gotta end up with the friend, right? Come to think of it, it hardly ever ended up that way in Molly Ringwald movies.